Finally, a remover you can travel with that is also easy on the nails from Suncoat, OPI and Trind! Suncoat All Natural Nail Polish Remover Gel - 30ml - $7.99 - with a one-of-a-kind, biodegradable plant based formulation, this gentle gel is earth friendly, nontoxic and non-drying to the nails. The safe and effective formula works with all nail polishes while the handy tube format makes it perfect for travel or throwing in your purse for manicures on the go! OPI Wipe-Off! Acetone Free Lacquer Remover Wipes - pack of 10 - $8.95 - designed for on-the-go usage, each individual wipe quickly removes lacquer from all ten nails and features a moisturizing formula and fresh lavender scent. Plus, the acetone-free formula is safe for removing lacquer from sensitive and even acrylic nails. Available in July at professional spas and salons. Trind Extra Mild Acetone Free Nailpolish Remover - 125ml - $9 - with an oil and acetone-free formula that is made with the least aggressive solvents to provide a balance between safety and effectiveness. Best of all is the way our miracle cap eliminates leaks - no more spillage! Quo makes wipes now too - acetone free! That suncoat thing looks so cool!! 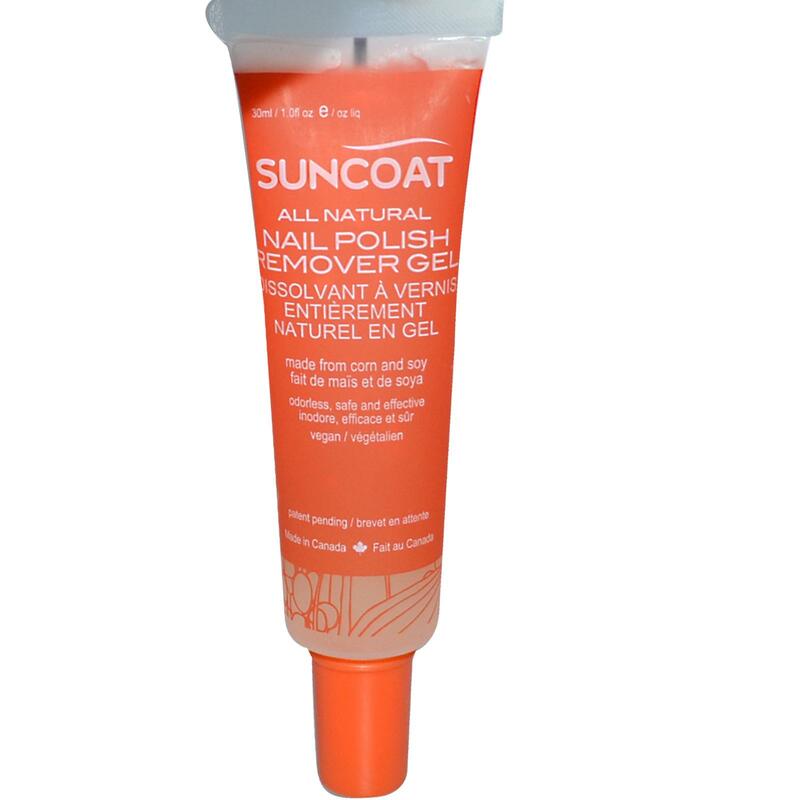 I have the Suncoat remover gel and it's not great...it takes so long for the gel to dissolve even creme polish and when you start wiping, the nail polish comes off in small gooey chunks. The concept is great, but in practicality I'm sure most women would reach for a liquid remover with acetone in it.